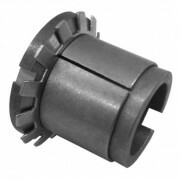 We carry a full range of mechanical locking bushes. They are fully interchangeable with many well-known brands such as Tollok, MAV, Ringfeder & Ringblok. 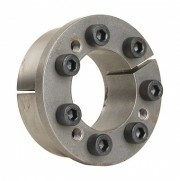 Cone clamping unit consists of four pieces with two inside double-cone rings joined through a set of tightening screws. It is recommended for medium to high torques and although it is not self-centering, it can be easily assembled and disassembled. Available for shaft diameters from 20 to 900 mm. 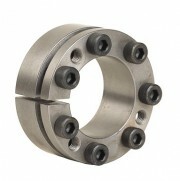 Consists of two cone rings and must be equipped with a fastening flange, usually manufactured by the Customer. The number of locking screws depends on the torque to be transmitted. It is not self-centering. CAL2 requires very small axial installation dimensions. Up to 4 units can be arranged behind each other, allowing high torques to be transmitted. Available for shaft diameters from 6 - 540 mm. Consists of two conical pieces and a spacer. It has minimum overall dimensions in virtue of the reduced thickness of the cones; so, CAL3 is suitable for the applications where small hubs are requested. 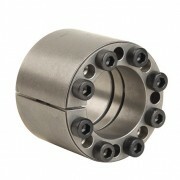 It is recommended for medium to high torques and is self-centering. CAL3 guarantees a very precise axial positioning, as no axial displacement of the hub occurs during the assembly operation. Available for shaft diameters from 6 to 130 mm. Consists of two biconic rings and two truncated cone rings. It is suitable for very high torques and is self-centering. Ideal for conveyors and many other machine applications Available for shaft diameter from 25 to 400 mm. Consists of one inside and one outside cone ring, which are joined by a set of screws. It is suitable for high torques and is self-centering. Applications which require a very precise axial positioning are not recommended, owing to a small axial displacement of the hub during the assembly operation. Available for shaft diameters from 18 to 220 mm. Consists of one inside and one outside cone ring, which are joined by a set of screws. It is suitable for high torques and is self-centering. 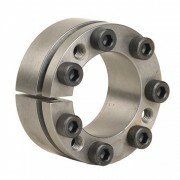 Applications which require a very precise axial positioning are recommended, owing to a no axial displacement of the hub during the assembly operation. Available for shaft diameters from 18 to 220 mm. Consists of one inside and one outside cone ring, which are joined by a set of screws. It is suitable for medium to high torques and is self-centering. Applications which require a very precise axial positioning are not recommended, owing to a small axial displacement of the hub during the assembly operation. Available for shaft diameters from 18 to 220 mm. Consists of one inside and one outside cone ring, which are joined by a set of screws. 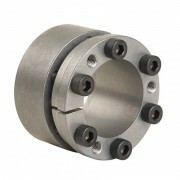 It is suitable for medium torques and is self-centering. Applications which require a very precise axial positioning are recommended. Available for shaft diameters from 14 to 50 mm. 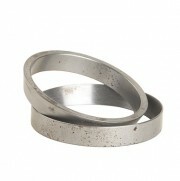 Consists of two cone rings, joined through a lock nut and a tab washer. In virtue of the simple design, very fast assembly/disassembly is allowed. 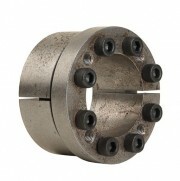 CAL9 is suitable for applications with medium to low torques. Available for shaft diameters from 14 to 70 mm. CAL9 is ver similar to the CAL13S, but is manufactured in a shorter execution. 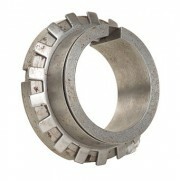 Consists of one inside and two outside cone ring, which are joined by a set of screws. 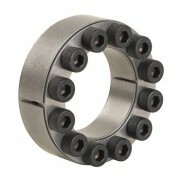 This locking device is designed as a rigid coupling to join the shafts of the same size. CAL10 is also available to suit shafts of different sizes on request. Available for shaft diameters from 16 to 80 mm. 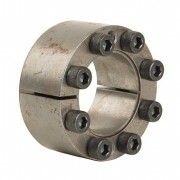 Consists of one inside and two outside cone ring, which are joined by a set of screws. It is suitable for medium high torques. 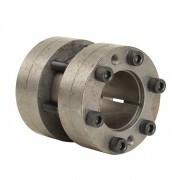 CAL11S locking bush is used for clamping a hollow shaft to a standard shaft. Available for shaft diameters from 14 to 300 mm. Consists of one inside and one outside cone ring, which are joined by a set of screws. It is suitable for medium to low torques and is self-centering. Available for shaft diameters from 18 to 90 mm. Consists of two cone rings, joined through a lock nut and a tub washer. In virtue of the simple design, very fast assembly/disassembly is possible. 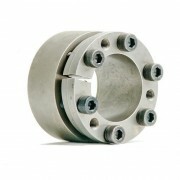 CAL13s is suitable for applications with medium to low torques. CAL13S is very similar to the standard CAL9, but is manufactured in a longer execution. Available for shaft diameters from 14 to 60mm. Consists of one inside and one outside cone ring, which are joined by a set of screws. 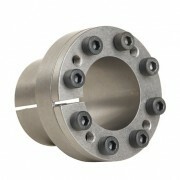 It is suitable for medium to high torques and is self-centering. The CAL15 is a very small and light weight design. Applications which require a very precise axial positioning are not recommended, owing to a small axial displacement of the hub during the assembly operation. 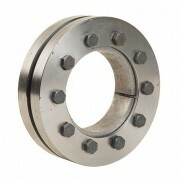 Available for shaft diameters from 6 to 50 mm.